Tomorrow With You is a fantasy romantic comedy about a time traveler (Lee Je Hoon) and his wife (Shin Min Ah). After seeing his death in the future, the time traveler discovers a mysterious connection with a woman and enters into marriage with her to try and prevent it. But the closer he grows to her, he realizes how much his life is hurting her and tries to figure out the best way to love and protect her. Tomorrow With You was a pretty unique kdrama for me. Foremost, I would consider it a true romance drama. Although we do see plenty of romantic comedies, this one just had such a heavy focus on our main couple pretty much right from the get go. Lee Je Hoon is adorably awkward as our time traveler Yoo So Joon. He’s such a sweet guy, but the burden of knowing the future ways heavy on him. His life becomes consumed with the future and saving his wife from heartache and death. It’s difficult to see how much fear and pain he carries with him. 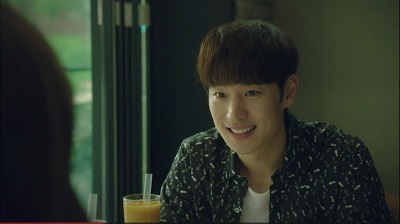 I adored Lee Je Hoon in this role. He beautifully portrayed the complexities of So Joon’s character. He was sweet, happy, and in love, but at the same time he was riddled with fear over how to prevent his tragic future. 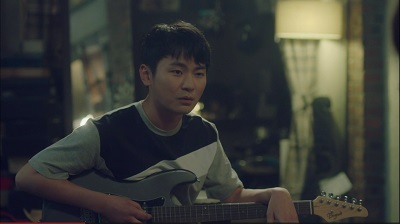 Lee Je Hoon just completely drew me into this character. Shin Min Ah has her signature charm as Song Ma Rin. She’s funny and adorable with such a pure innocence to her personality. She is also so dedicated and loyal, and I enjoyed seeing just how much she loved So Joon. I always love Shin Min Ah, but this was definitely one of my favorite roles of hers. 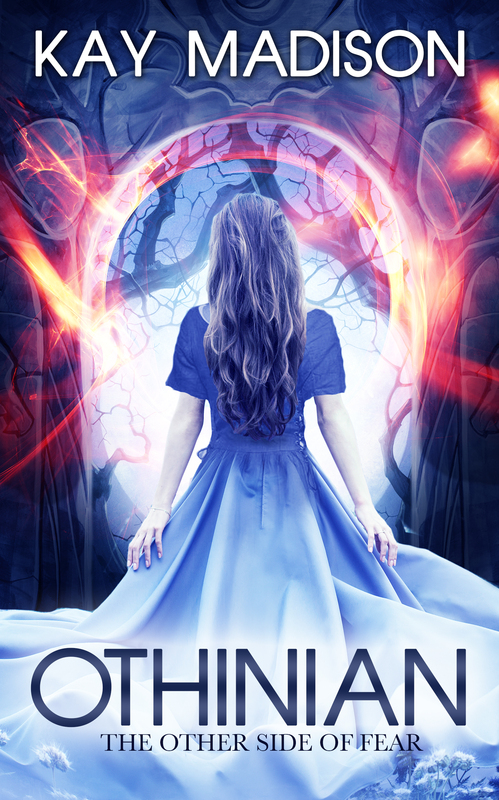 Her character goes on quite the journey of growth as she experiences love and heartache. She’s such an endearing character that we see go from somewhat helpless to being very take charge. It was a beautiful journey. We then have So Joon’s time traveler sunbae Doo Shik (Jo Han Chul). He’s a bit of an odd fellow, but he has helped So Joon with his time traveling abilities over the years. He’s also a man that is full of secrets, and it leaves the audience and So Joon wondering just what he is thinking and what he is up to. I don’t even know where to begin when describing So Joon and Ma Rin as a couple. First, they are completely adorable together! They both display so much cuteness with each other and have an abundance of delicious skinship. They were just too cute! I also loved going on the journey with them as they got to know each other in such a realistic way. Even their earliest interactions that were very raw and awkward felt so real and deep. And I have to say, Lee Je Hoon and Shin Min Ah had a ridiculous amount of chemistry! I mean the way they looked at each other sometimes was beyond intense. They were the kind of looks that completely sent my heart racing. I’m used to heart fluttering moments, but this was more like heart pounding! I’m also used to a more easy going kind of chemistry with most kdrama couples. And while they definitely had that, these two just had something that completely drew me into them in such a serious way. I get chills just writing about it! But as much as I loved the main couple, the drama had some big negatives for me. First, everything outside of our main couple just felt really meh for a really long time. Supporting characters were adequate, but I felt little for them. Although I do think they improved as the drama went along, I still just never really connected to them. The first half of the drama also ended up being very much on the slow side. Even though the stakes for our couple are very high right from the very beginning, the drama sort of meanders along and has a very laid back sort of feel. It’s like the drama just wasn’t able to convey the layer of suspense that was running in the background. Sometimes things were even outright boring. But then a scene would come along where the emotions were flowing and the plight of our characters would just burst forth in such a gripping way, and I would be fully invested. It’s just too bad the drama couldn’t seem to sustain this or at least balance it better with the other elements of the drama. But even during this, I was always glued to the screen when Lee Je Hoon and Shin Min Ah were together, which thankfully is a lot of the time. As I gushed about them above, I just loved everything about them. Their chemistry. Their rawness. Their realness. Their pain. Everything. But even they had many scenes that just sort of sauntered along. If I didn’t love everything about them, it probably would have bothered me. The first half of the drama definitely could have benefited from a tighter script. But just after the middle of the drama, it seemed to get a firm hold onto how to execute the suspense element. Suddenly, the stakes did feel very high, and So Joon and Ma Rin go through some very emotional and poignant challenges. Everything was balanced so much better. Of course, the time travel element was extremely fascinating. It can be difficult to pull off a good story that makes sense while fitting within certain time travel rules. Of course, it’s not perfect, but I think this drama did it beautifully. I really enjoyed how the story consistently peeled back its layers throughout the drama. There was a lot of thought that went into the details of how everything would connect from beginning to end. We see scenes early on where So Joon goes to the future trying to figure things out. Both he and the audience are left wondering how the characters ended up where they were in the future and why they say and do certain things. All of these scenes eventually come full circle as we learn how everything fits into the puzzle. It was all done remarkably well. Overall, Tomorrow With You was such a compelling drama. Despite some major issues with the pacing and story development in the beginning, it blossomed into a wonderfully suspenseful romantic thriller. Lee Je Hoon and Shin Min Ah had sizzling chemistry right from the get go, and they fully embodied their characters in such a real and complete way. Their love story was both heart wrenching and heartwarming. I loved this couple so much, and I’m glad I went along with them on their time traveling romance journey. This entry was posted in Reviews and tagged Jo Han Chul, kdrama, Korean Drama, Lee Je Hoon, Shin Min Ah, Tomorrow With You. Bookmark the permalink. I ended up dropping this one because the beginning was too slow for me, but maybe when I need a Shin Min Ah fix, I’ll try it again. I really do adore her! I totally loved this drama, yes the beginning was a bit boring but I was also very curious as to what will happen to them. Both their acting was fantastic and It was so moving in some parts of the drama that i was in tears. Recommended to those who gave up midway.Give it another go. Sounds like an incredible drama. I’d seen previews but thought hmm it’ll b an ok drama to watch. But after reading ur feelings toward it I’ve changed my mind. Yes I too have seen other dramas w great chemistry but leaves u saying “ok what just happened”. To actually have an Asian drama w such intense feelings true chemistry, love is not an everyday occurance. So I’m diffinately watching it. Thanks for giving such great insight to the drama. It really was a very poignant and moving drama. And yes, the chemistry between the leads truly is fantastic and the way they interact with each other is so real. I don’t mind dramas being slow in the beginning, as long as they eventually pick up speed and have a good resolution. I don’t know too many dramas that have a time travelling aspect to them, and that sounds really cool. Also I got chills just from you describing the chemistry between the couple. I am going to try and see if I can watch this one sometime in the future (pun intended 😂). Tomorrow With you definitely fits that description! It could have used better pacing in the first third for sure, but it did still do a lot right like setting up a very intriguing time travel story and giving us a fantastic couple. Then the drama just finds its sweet spot and the suspense element really ramps up and everything comes together beautifully. Hi! Could you please recommend me more kdramas showing marriage life. I absolutely loved how they showed the ups and downs of marriage life. And the chemistry between the leads was simply amazing. I wish there were more dramas that showed a more “normal” married life. Most dramas that deal with marriage are usually contract marriages. Do you like those? If you don’t mind sad dramas, there’s Marriage Contract that deals with a contract marriage where the woman has a terminal illness and needs someone to care for her daughter. Then there are more typical rom coms like Delightful Girl Choon Hyang, Sweet 18, and Full House. I wouldn’t really compare those to a relationship like Tomorrow With You though. I’ve gone mad with their out of this world chemistry that I can’t help but say damn! Wish they’re for real would love to see them in another drama with lots of intense scenes and intimacy both can fork us out of thee emotions pouring🙏🏼They’re so relatable in every idealistic and realistic ways.